Alborata Hotel Boutique is a 4* hotel located in Guadalajara, Mexico. It features 17 rooms and swimming pools. 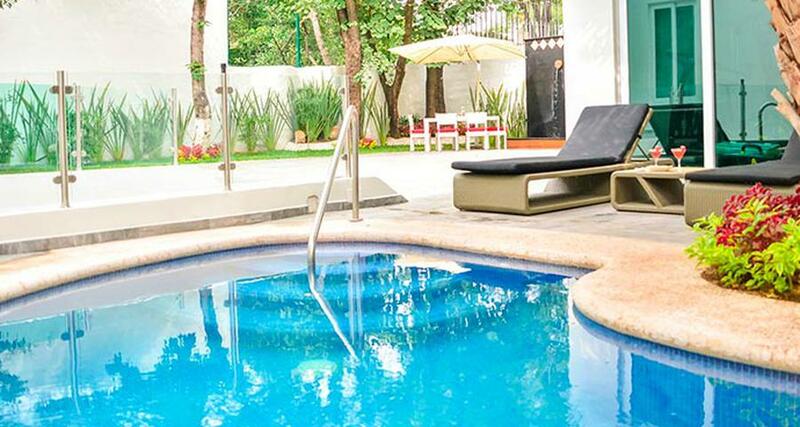 Alborata Hotel Boutique is an elegant property located within a prestigious area just 15 minutes west of the historic center in Guadalajara. The hotel is famous for its colorful architecture, modern furnishings and a quiet, residential atmosphere. Relax in the outdoor swimming pool and take advantage of a gym, complimentary WiFi and a computer area. Each guestroom is equipped with a Smart TV, fine bath amenities and luxurious mattresses. The hotel restaurant serves exquisite cuisine, which you can savor within the restaurant or in the privacy of your room. There is also a beautifully landscaped terrace that is ideal for hosting weddings or events.